I had a fabulous little day out a couple of weeks ago - and at the Trafford Centre no less! Usually the Trafford Centre on a weekend would be an absolute no go. I like to avoid stress and crowds on the weekends wherever possible, so the idea of pushing past crazy shoppers, hearing the cries of shrieking children and being blinded by artificial lighting isn't really my idea of a great time. Did I mention that I'm getting married this year? (sarcastic lols) Well I've been dying for an opportune moment to be converted to the ways of Jo Malone, after hearing (and smelling) wonderful things from friends. As getting married seems to be a license for spending too much money on frivolous things (*cough*), I thought it seemed like a good time to splurge on a 'bridal' fragrance and so with one of my bridesmaids in tow, I booked in at the Selfridges Jo Malone counter. We had the most fabulous Bridal Consultation appointment with the lovely, Kerry who picked out a number of fragrances for us both to try and gave us hand and arm massages, plus a glass of bubbly. I really loved their approach of trying to find a 'fit' by asking about your likes, dislikes and general personality. I was genuinely massively impressed that Kerry hit the nail on the head with the first fragrance she suggested for me! Walking out with a new perfume and smelling, frankly, incredible - we were ready to eat! I'd been asked to try out Oh You Pretty Things* - a new champagne and cocktail bar on the top floor of The Orient and so it seemed like a good idea to turn our appointment into a fun girly day out. For those familiar with the Trafford Centre, The Orient is where the Food Court is located - probably the busiest part of the whole centre in the early hours of the afternoon! Feeling relaxed from our appointment at Jo Malone, stepping into the OYPT bar was in fact, the perfect transition. The bar distinctly feels like it's very much for 'grown-ups'. There are a lot of family-style restaurants dotted around, even on the upper floor but OYPT feels like a real oasis away from the hustle and bustle. 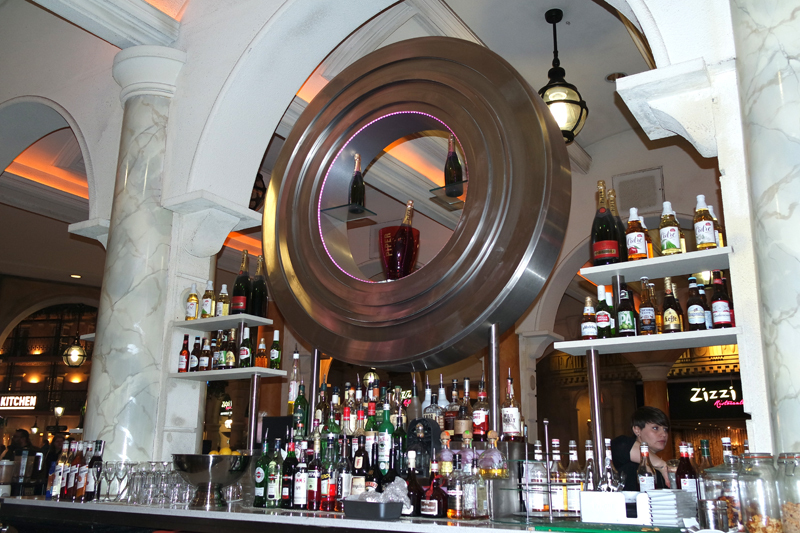 Sitting down on the modern chrome and cream bar stools, I found myself wondering where else in the Trafford Centre could you go for a nice glass of prosecco or a great cocktail? 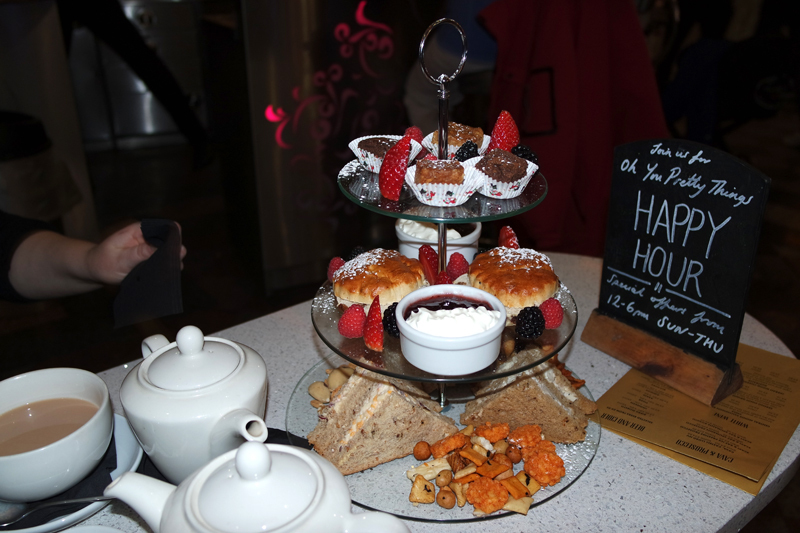 We were there to try OYPT's signature Afternoon Tea - a steal I would add at just £19.95 for two, or £24.95 with the addition of prosecco. 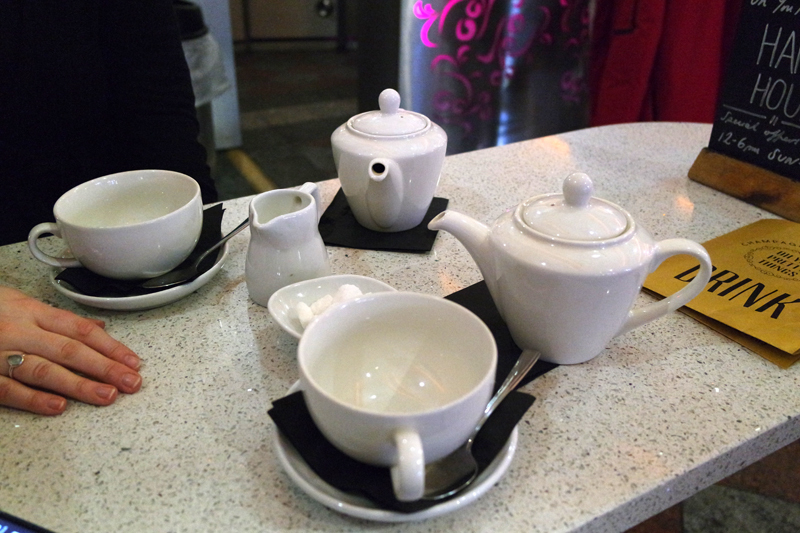 We started with a pot of tea, before the main event was brought out. For the price, we were seriously impressed! There was definitely an ample amount of food for the two of us. The sandwiches were a good size and well filled (I hate it when you get an afternoon tea with just one or two teeny sandwich each!). The mini cakes on the top tier were also pleasant and the fresh berries were a nice addition too. I wasn't so sure that the handfuls of Japanese rice crackers really belonged but the whole thing was great to nibble at while chatting. The scones were great and came with a huge pot of cream and jam each. 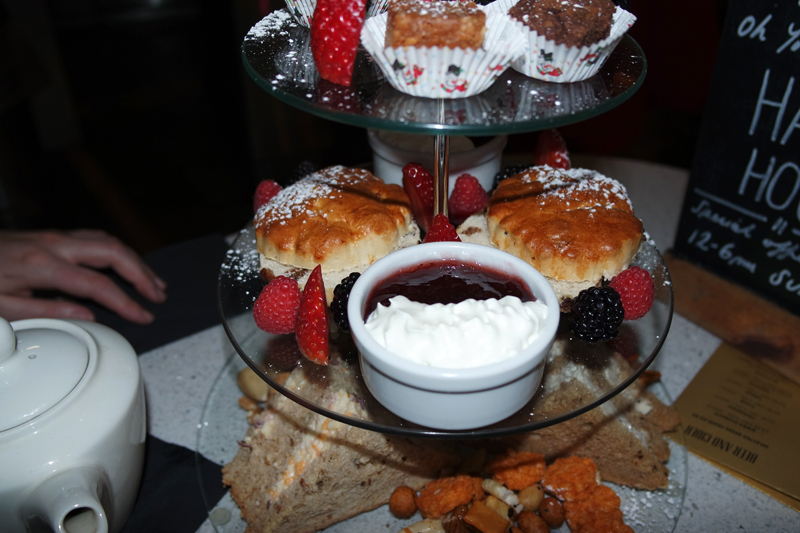 A scone covered in cream and jam is always the highlight of any Afternoon Tea for me! We also tried a couple of cocktails from the drinks menu and I can highly recommend the Candy Floss Martini, an infusion of raspberry vodka, butterscotch schnapps and Chambord - topped with a piece of real fluffy, sugary candy floss. 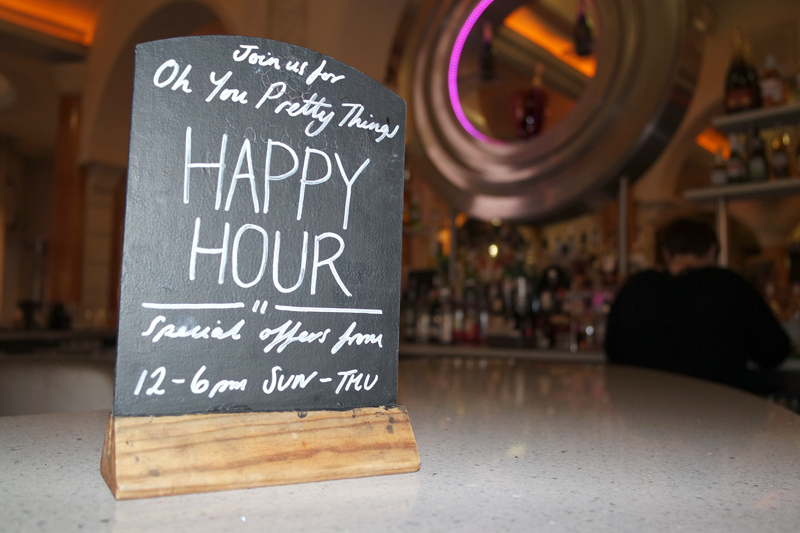 If you find yourself at the Trafford Centre with a friend or two and fancy a great drink and a bit of tranquillity, I would highly recommend the Oh You Pretty Things bar - the staff were absolutely superb too! 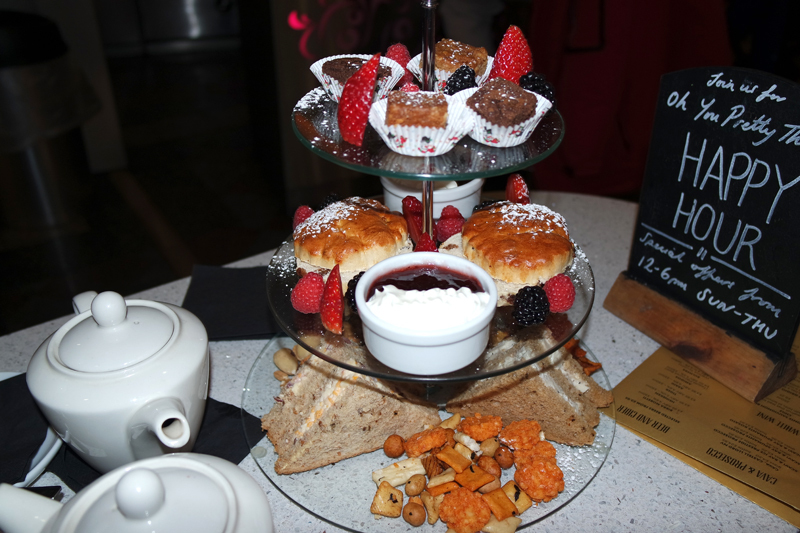 Ooh love afternoon tea! Those cakes look delicious. Also so great to have somewhere in Trafford that isn't completely manic. If you're ever in London fancying the same sort of thing, I'd completely recommend Sketch. 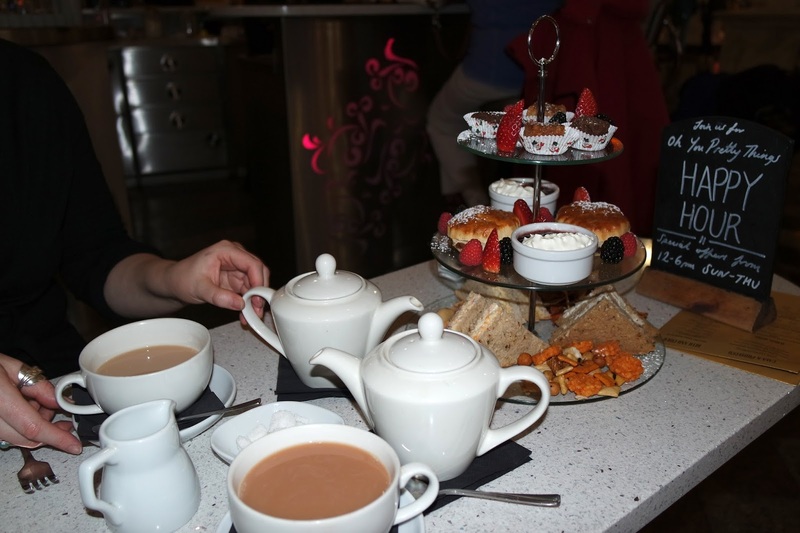 Their afternoon tea is out of this world! !